Former Education Minister Benoit Hamon has won the first round of the French Socialist Party primary. He will now battle former PM Manuel Valls in a second round to decide the Socialist candidate for the presidential poll in spring. Hamon gained over 420,000 votes in Sunday's ballot and secured 36 percent of the vote. Valls who served as Francois Hollande's prime minister from 2014 to 2016 and interior minister from 2012 to 2014, garnered just over 360,000 votes. 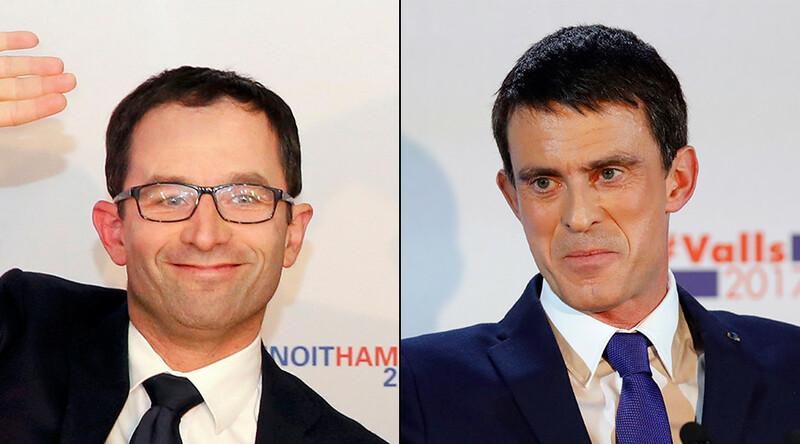 Hamon and Valls will face each other in a runoff on January 29. "I can see the first bricks with which we can reconstruct the left and reunite the left and then also rebuild hope and share this with the people of France," Hamon said in a short address to supporters after the result, Reuters reported. The former French education minister proposes to raise the minimum wage and to further reduce the 35-hour work week, introduced by the Socialists in 2000, to 32 hours. Hamon also wants to see France introduce a universal basic income for the unemployed and low-income workers. He argues that introduction of the move is a necessary response to the digital revolution which led to large scale unemployment in parts of the French economy. Former PM Valls dismissed Hamon's proposals as unrealistic. "We face a choice now between certain defeat and possible victory, between unrealistic promises that cannot be financed and a credible left that can bear responsibilities," Valls said, referring to Hamon's proposal on basic income, Reuters quoted. Hollande’s presidency has been weakened by his failure to revive economic growth, and Valls has positioned himself as the Socialist moderate who can save the party and reverse the negative trends under Hollande. 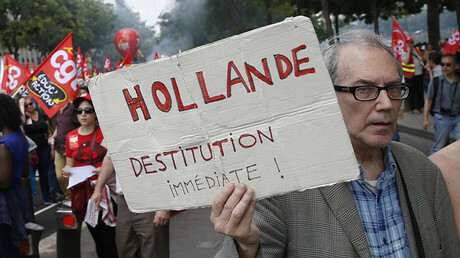 Hollande renounced his candidacy on December 1. His presidency has been marred by large protests in cities across France against the government’s proposed labor reforms aimed at reducing the country’s high unemployment rate and boosting economic growth. A direct result of Hollande's limp presidency has seen a sharp dip in the polls, with latest numbers suggesting the Socialist candidate, whoever it’ll be, will be knocked out at the first round of the election scheduled for April, AFP reports. Indications are that the race for Elysee Palace is likely to be played out between right-wing French parties. The majority of polls currently predict that conservative Republican candidate, Francois Fillon, will face Marine Le Pen from the National Front in the decisive second round on May 7. Poll results released by CEVIPOF, and commissioned by Le Monde Daily, show Le Pen has 25-26 percent support among likely voters compared to 23-25 percent for Fillon, who held a three-point lead over his rival in December. Le Pen rise in the polls is attributed to her party's tough stance on immigration and her open criticism of German Chancellor Angela Merkel's refugee policy, which allowed 890,000 people from mostly war-torn countries to seek refuge in Germany in 2015 alone. “We cannot take care of hundreds of thousands of people arriving here because our first obligation is to protect the French people,” Le Pen said in a BBC interview in November. She also wants France to hold a Brexit-style referendum on leaving the European Union.